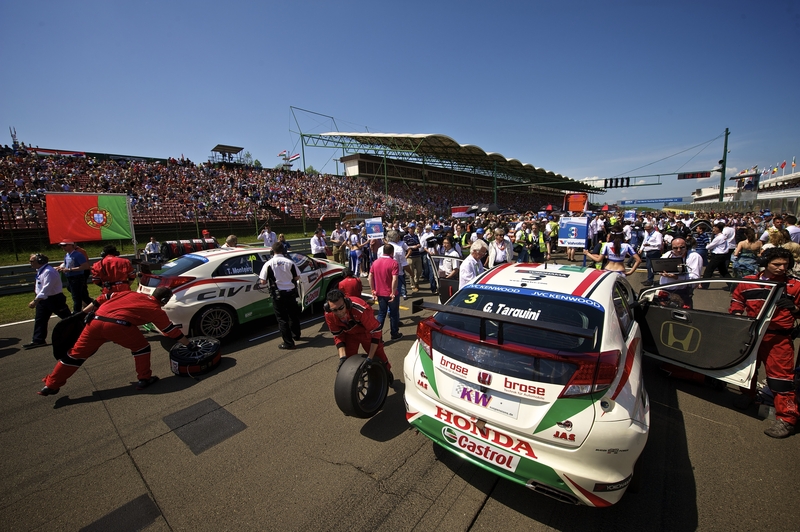 80,000 fans came to Hungaroring to cheer local hero Norbert Michelisz and were rewarded with a thrilling performance with their “Norbi” finishing race 1 just 0.6 seconds behind the ultimate winner Yvan Muller. 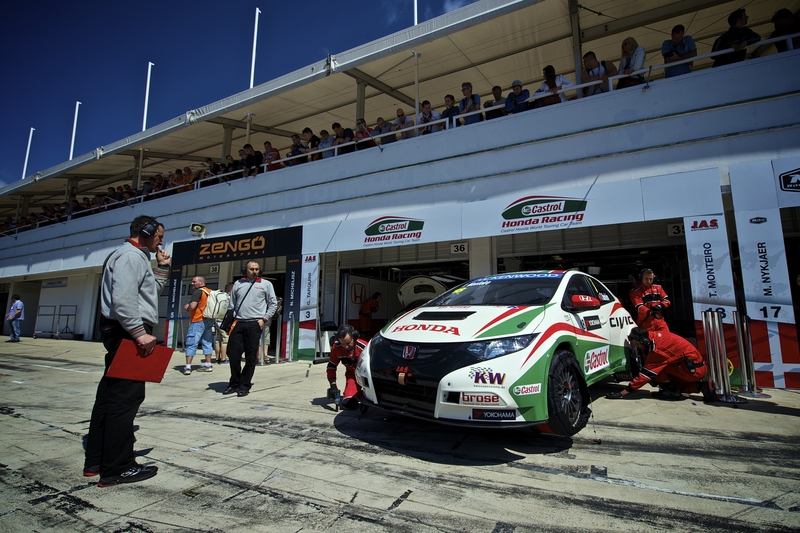 Starting from 3rd position on the grid Gabriele Tarquini brought his Castrol Honda Civic home to claim the 3rd step on yet another podium. In the reversed grid race 2 the drums, trumpets and klaxons again heralded Michelisz and his Team Zengo Honda Civic to his grid spot. But by the end of the very first lap the Castrol Honda Civic of Tarquini was out of the race after a heavy impact with the guardrail propelled the car back onto the track into collision with Franz Engstler’s car. A badly shaken Tarquini was immediately taken to the circuit medical centre for precautionary checks. 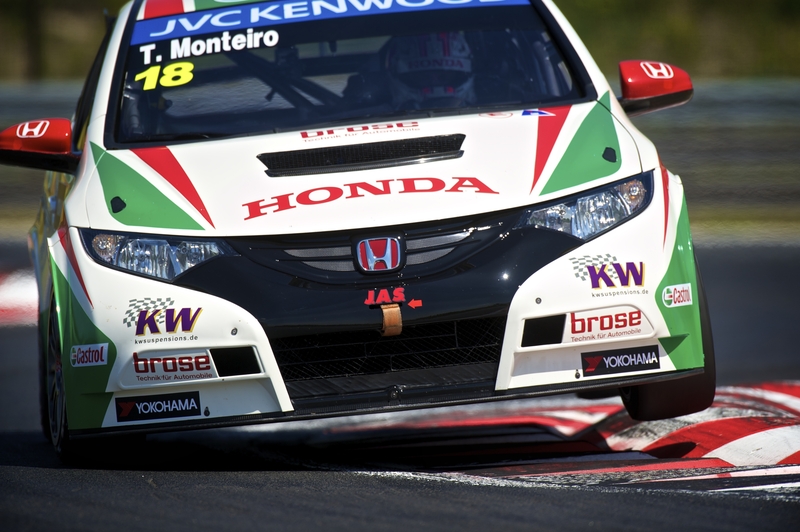 Team-mate Tiago Monteiro was forced to start from the pit-lane following an impact in race one and passed 9 cars on his way to a 13th place finish. Meanwhile Michelisz battled hard, to the delight of his fans, but could only manage to progress to 8th after the 12 laps were completed. Latest news from the team, JAS Motorsport is that Tarquini appears to have suffered no serious injury and is fully expected to be back fighting for podiums and race victories at the next round in Austria.